Baroness (Sayeeda) Warsi is one of the strongest female personalities in British and European politics. A lawyer with a powerful advocacy record for human rights and significant foreign policy experience, she defies categories by speaking her mind loud and clear. Her business background and her passion for the manufacturing sector in particular have made her a champion for British business both at home and abroad. 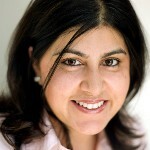 Sayeeda Warsi was the second of five daughters of an immigrant family from Pakistan that has achieved significant business success in the United Kingdom. She was educated at Birkdale High School, Dewsbury College and the University of Leeds. She attended the College of Law (now University of Law) in York and completed her legal training with the Crown Prosecution Service and Home Office Immigration Department. She was the first Muslim woman to be selected by the Conservatives to run for parliament. In 2007 she became the youngest member of the House of Lords, as Baroness Warsi of Dewsbury. In 2010 she was appointed Chairman of the Conservative Party and became a member of the Privy Council and the first Muslim to serve as a British Cabinet Minister (Minister without Portfolio). In 2012 she became Senior Minister of State at the Foreign Office, and Minister for Faith and Communities. In 2014 she resigned from the government, describing the UK government’s approach towards Gaza as “morally indefensible”. Sayeeda Warsi addresses audiences large and small, including City dinners, women’s networking events and major international financial conferences. She is a popular and influential speaker who brings generous passion, warmth and insight to every event. She is active on social media (‘sometimes too much so’, say her family).